The UK’s most awarded commercial radio presenter, Christian O’Connell, is leaving Absolute Radio after a 12-year stint on breakfast. Christian joined the station for breakfast when it was known as Virgin Radio as a replacement for Pete & Geoff, and has won almost a dozen Sony Radio Academy Gold awards along with six Arqivas. He’s previously worked at Xfm, Juice Liverpool, 2CR and 5 live. He announced the news on-air today, the 12th anniversary of the show, just after 8am, confirming he’s leaving the UK for a new adventure. He didn’t say where he was going but RadioToday understands he’s got a new radio show in Australia, as previously reported by our colleagues at Radio Today Australia. He’ll be leaving “in a couple of months”. On the move, he told RadioToday.co.uk: I love working here and my decision to leave has been the hardest of my radio career. Absolute Radio has given me the freedom to carve out my little place in the morning. To say goodbye to Richie and our amazing listeners is really so hard and very emotional for me. It’s never been just a radio show to me. I only wanted to leave for something amazing and that’s what I’m doing. His co-host Richie Firth will remain part of the Absolute Radio family, the station says. 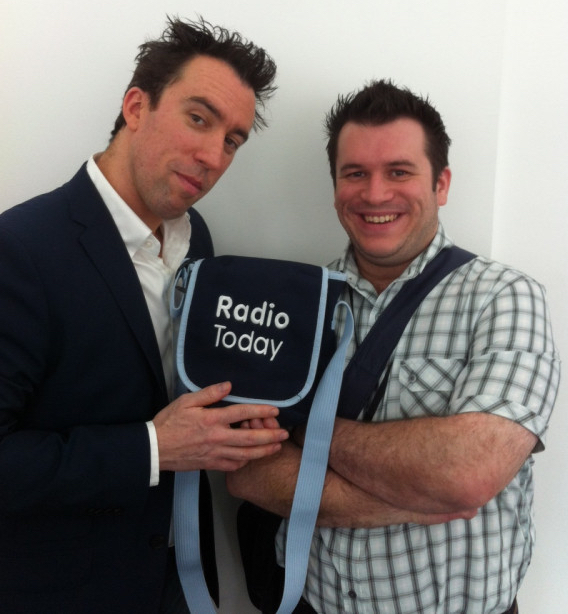 Christian is one of the most reported-about radio presenters on RadioToday. Over the years, we’ve reported on his live show from a taxi, his home, and even the BBC. We told you about the time when Tony Blair made a surprise call to the show, and when he played the non-radio edit of Boulevard of Broken Dreams by mistake. We followed his Soapbox Race which he and Richie won, his trip to Switzerland with a bunch of listeners, and that time he started throwing tennis balls at Neil Fox’s studio window. And who can forget that time when David Cameron swore twice on the breakfast show, saying Pi** and Tw**, later to be cleared by Ofcom. He has hosted many a radio awards, and has featured in a number of radio events including being part of sessions at the Radio Festival and Radiodays Europe. The move leaves a rare high-profile breakfast show vacancy on a national analogue radio station – and Absolute Radio tells us an announcement will be made in due course about a replacement.